RZA is spending all his time preparing for a chess tournament these days. He has completed the latest Wu-Tang Clan album and now needs to defend his title at a celebrity speed chess tournament. The Hip-Hop Chess Federation is holding a special chess charity event on February 16 in Los Angeles. It's going to be an eight-player speed chess event. He had won the Hip-Hop Chess event title in 2007. “I am looking forward to the upcoming chess battle at the HHCF Chess Kings Invitational in Los Angeles. To those knowing I have to defend my belt, get ready to protect ya neck,” said RZA. "The belt" refers to the prize given at the event instead of a trophy. 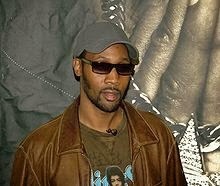 RZA, an ace chess player, is also the director of development and champion of the Hip-Hop Chess Federation. Working with Crowdtilt.com, the Hop-Hop Chess Federation is also holding an online fundraiser to teach chess and non-violence to youth. Proceeds from the charity tournament will go towards expanding the organization to Los Angeles. RZA - Robert Fitzgerald Diggs - is an American music producer, multi-instrumentalist, author, rapper, actor, director and screenwriter.